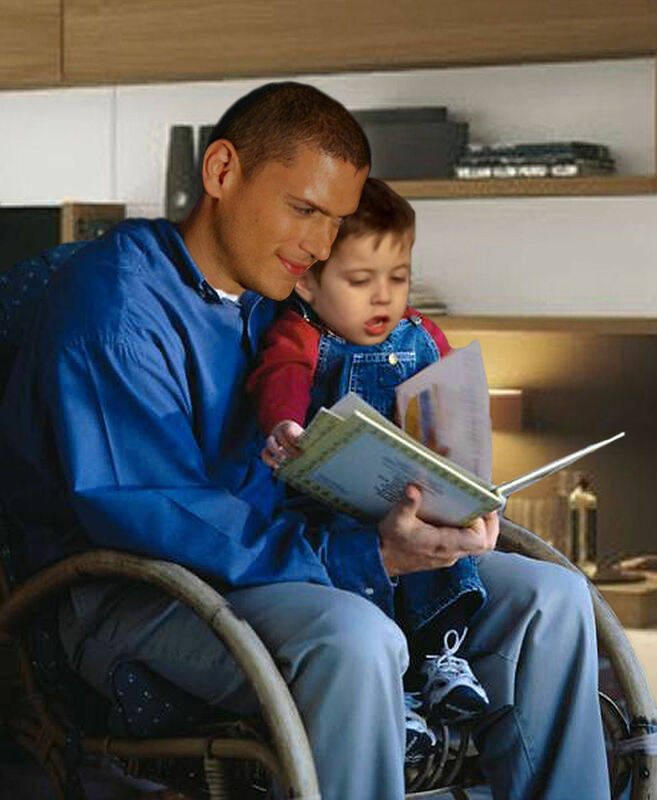 Michael Scofield with his little son MJ. . HD Wallpaper and background images in the Wentworth Miller club tagged: prison break michael scofield mj season 5. This Wentworth Miller photo might contain cleaver, fleischerbeil, chopper, fleischhacker, zerkleinerer, and hackmesser.